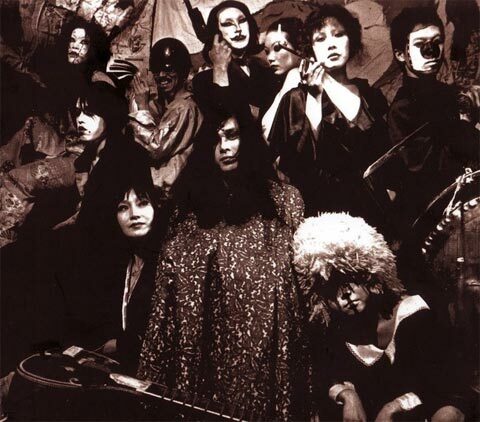 This thesis is interested in the underground musical currents which developed in Japan during the 1960s and 1970s within the Angura (underground) culture, with particular focus to their relationship between avant-garde theatre and New Wave film productions. The research aims to highlight musicians’ contribution in developing the critical, anti-establishment stance towards mainstream artistic trends and political thinking, which has been fostered by Angura’s vanguard practitioners during that period. With this analysis, the thesis will demonstrate that the method of visual syncretism between traditional aesthetics and Western vanguard elements, broadly exploited by Angura directors, has also been adopted harmonically by musicians, overcoming the mainstream genre of enka and thus challenging concepts of nationhood and identity among the debate about nihonjinron. Particular attention will be given to the work of experimental musicians J.A. Seazer and Mikami Kan, focusing on their collaborative work with avant-garde film/theatre director Terayama Shūji, and exponents of Japanese free jazz scene such as Yamashita Yosuke and Togashi Masahiko, for their improvisational work in support of Wakamatsu Kōji and Adachi Masao’s films. Jacopo graduated in Japanese Language and Culture at Ca’ Foscari University of Venice in 2011, with a stay abroad at the University of Kōchi during the last year of the degree. He then pursued the study of Japanese culture at University of Leeds, where he obtained an MA in Japanese Studies in 2012, with a dissertation about the representation of ugliness in the Japanese vanguards from the post-war to the 1990s.